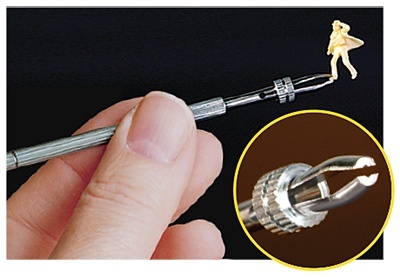 Use for holding micro size parts while painting, gluing, or positioning. Tweezer-type jaws grip tightly with one hand by sliding knurled ring towards tip. Holds objects up to 1/8” thick. Made of stainless steel. 4 1/4” long.